Because The A.V. Club knows that TV shows keep going even if we’re not writing at length about them, we’re experimenting with discussion posts. For certain shows, one of our TV writers will publish some brief thoughts about the latest episode, and open the comments for readers to share theirs. 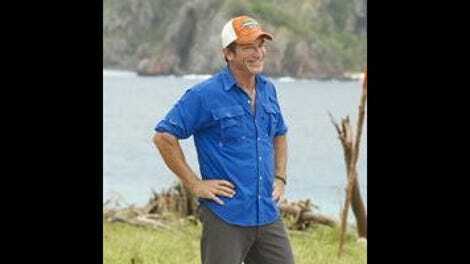 Right after his big move at Tribal Council, David doesn’t know if playing the idol was actually the right thing to do. Shocking! It at least leads Jessica to tell Ken about her Legacy advantage as some sort of apology for not believing him earlier. So David risked everything, and Ken gets thanked. Sort of. Good thing David immediately finds ANOTHER idol, and Survivor fails to take the opportunity to do a literal hashtag blessed. A combined tribal swap and split into three tribes makes the game far more complicated. Of note is that Figgy and Taylor ended up on the same tribe, and our nightmare that is potentially having to watch them make out continues. The fun thing about a tribe swap is that it forces the show to focus on the new tribal dynamics, and in the process we get a lot better picture of the players as people and of their game. That remains the case here, as we get at least 20 minutes of pure “getting to know you” conversations. Michaela and Zeke in particular get some good screen time. Figgy earns some points when she gets a bit smart and actually decides to hide her relationship with Taylor. He’s not into the ruse, and his frustration is highly amusing. Also, there’s no way it’s going to work considering Adam is on their tribe and very willing to do whatever it takes to stay in the game. Zeke and Chris bond over Oklahoma football. Zeke wants to work with “the big ginger-haired football player,’ and who can argue with that? In a not-shocking turn of events, the tribe with the most Gen X members loses the immunity challenge. The big question here: Is Chris going to be able to flip the votes to vote off a fellow Gen Xer in CeCe? The X factor in this Gen X move is David, who with his talk of potentially giving his new idol to CeCe and voting out Michelle officially cements him as a fun player to watch. Crazy, and fun. Lots of talk of Gen X unity in Tribal Council, but it’s all talk – CeCe goes home, just as Chris planned. Chris being so adamant about voting CeCe out doesn’t make a ton of sense to me beyond the short term; their tribe is going to likely be the weaker tribe at challenges either with or without her, and she was a number on their side. The only person who it feels like they truly came out of this episode behind is Michelle, though, who was kind of sitting pretty until she painted herself as wanting to get David out. Never openly target a paranoid person who plays with a reckless streak, Michelle. Overall not a thrilling episode, but the tribal dynamics at the three tribes seem interesting enough to make this shuffle promising.